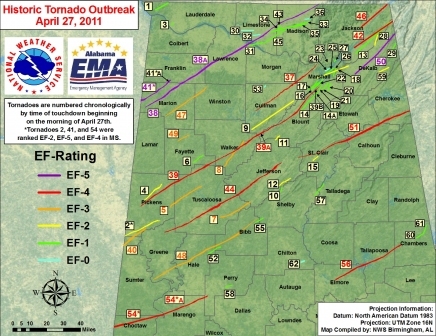 Alabama has now gone one year since the 4-27-11 tornado outbreak. The outbreak tested everybody in this state. Many people suffered on the terrible day and many other people came together to help their fellow Alabamians. But on that day and the days after there were heroes. Some people were heroes on that outbreak. I wanted to go through the people who I think are heroes. First during the outbreak. The meteorologists and storm chasers were heroes because they told people to take cover and saved lives. Plus the chasers shared live video feeds of tornadoes on the ground. That spurred people to take action. James Spann, J-P Dice, Mark Prater, Jerry Tracey, and the other meteorologists on TV and the ground saved many lives on that day. Plus storm chasers like Reed Timmer calling in tornado reports also saved lives on that day. If there were no warnings or tornadoes showed on live TV. Many more people would have died. Those videos of the tornado going through Tuscaloosa still gives me chills today. The next heroes were the first responders right after the tornadoes have struck. Many people needed help on the night of 4-27-11. The police, fire, EMT’s, and people with chain saws and equipment came in and helped rescue people and clear the roads for hurt people to get to the hospital. Then other people from churches and charities came in to start helping people to recover. They fed people, comfort people, helped people with clean up, and did anything in the tornado affected areas to start helping people in the recovering process. We did not wait for FEMA or the federal government to come in with help. We started helping people immediately. Anyone who helped the people affected by the tornadoes were heroes on that day. Those people needed all the help they could get. Even to this day people in the tornado zones are still in the recovering process. And it’s going to take decades for these areas to get back to the way they were before the tornadoes struck. Now what do I think about that horrible day one year ago. First; I think more people are weather aware today. 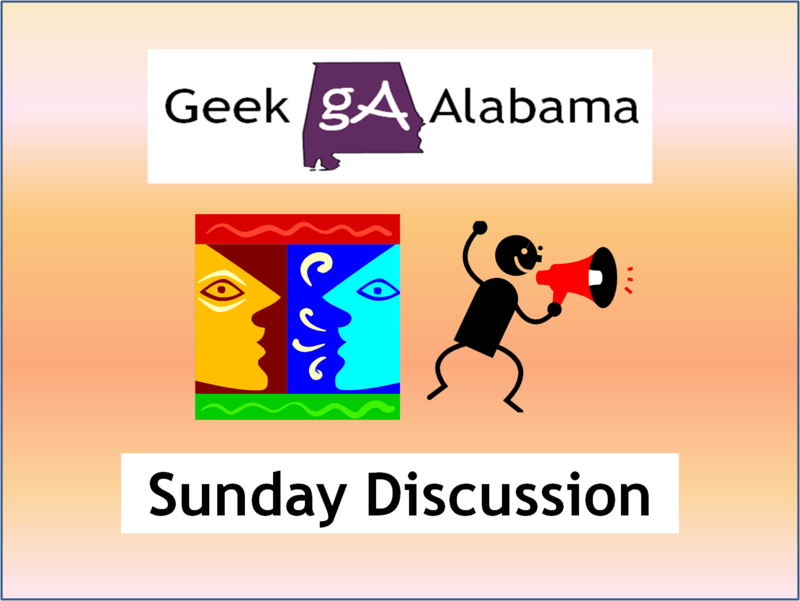 More people knows how the weather in Alabama can change every day. Alabama is home to some of the worst tornadoes in history. Alabama weather is something different all the time. And whenever a severe weather outbreak is forecast; people now pay attention. At the same time; people are getting equipment to warn them of severe weather. Weather radios are being sold in a rapid pace here in Alabama. And software on computers and smart phones are being downloaded by people to stay up to date on any severe weather. 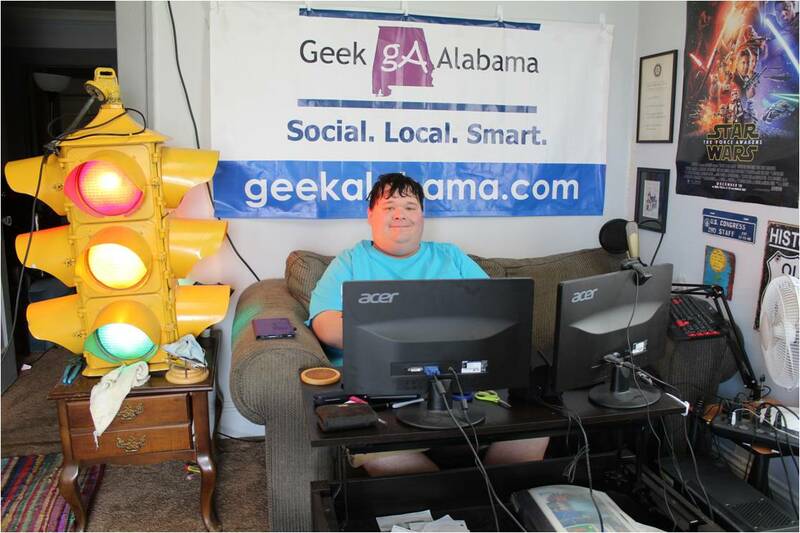 People in Alabama have gotten more weather aware and that is great! But I do worry that some people in a couple of years will not care about weather anymore and more people will be killed when a tornado strikes and the survivors say they had no warning. People in Alabama have to stay weather aware always! You never know when the next tornado will strike.